Florida Keys beaches are often what first come to mind when picturing Florida Keys vacations. If you've never been on a vacation in the Florida Keys, it's so easy to conjure up wonderful tropical images when picturing the region. You can see and almost feel the combination of soft white sand, tall swaying palms, incredible shelling, and crystal clear aquamarine water. Oops...this imagery however doesn't exactly fit the the reality of the situation. The reason for the lack of soft sandy shoreline in the Florida Keys may seem a mystery, but it's actually the result of the numerous coral reefs offshore. That doesn't mean there aren't any spectacular Florida beach locations because there are. In fact, I've compiled a directory of best beaches in Florida Keys for you. Now to explain the Florida Keys beach mystery. The Keys has the longest living coral reef in America, running 221 miles from Key Largo FL and continuing southwest to the Dry Tortugas National Park. The coral reefs protection keeps the waves from crashing ashore, which causes erosion. This also means the water inshore of the coral reefs is shallower, and calmer. The coral reefs prevent beach formation, but they give back in other ways. Fishing in Florida Keys is incredible, so is snorkeling and scuba diving, all courtesy of the offshore coral reefs. The coral reefs also affect the sand quality. It's coarser, even a bit abrasive compared to the sand at other Florida locations. The sea bottom can also feel sharp on the feet, again due to the coral particles. If you plan on spending time in the water, aqua shoes are your best bet. You'll be more comfortable, and will enjoy all your activities, in water and on land, even more. A lot of the sandy shoreline scattered throughout the Florida Keys are man made, including those found at the numerous resorts in the area. 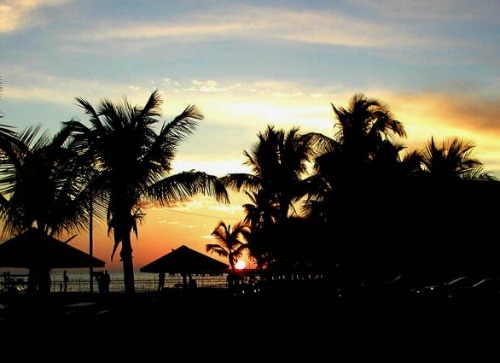 When on a Florida Keys vacation, you may want to consider staying at a hotel or resort that has their own private piece of soft sandy paradise. These private spots are small and man made, but they give you a chance to play in the water, sunbathe, and never leave the resort if you don't want to. 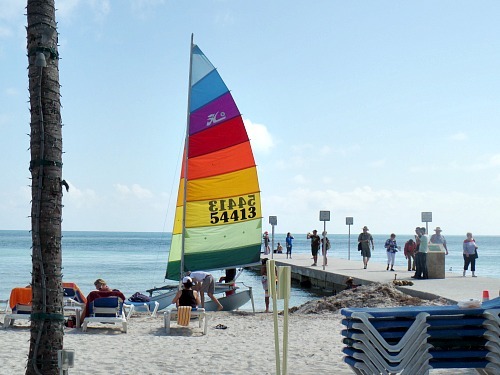 Plus many of these Florida Keys beach resorts provide free use of kayaks, canoes, towels and chairs, along with other amenities to enhance your stay. 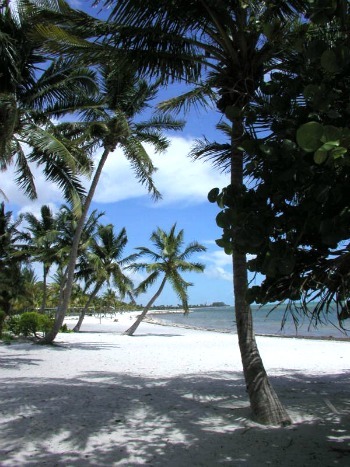 Private beaches are often standard fare at Key West resorts, Key Largo resorts, and the resorts in Marathon Key. You'll also find that the natural shorelines tend to be extremely narrow and rather rocky. Nonetheless, you'll find that there are some very good beaches in the Florida Keys, with several being regarded as exceptional. Bahia Honda State Park is considered to be one of America's best, and was voted second for North America. It also ranks at the top end in the world class beach division. When you consider the luscious warm water the Florida Keys has all season long, a day at any one of these Florida beaches is something to look forward to. In the winter the water temperatures hover around 75. In the summer, the water temperature averages around 85. No matter when you're here, it's a safe bet you'll have a great time at any of the beaches in Florida Keys. So don't let those nasty rumors deter you from spending countless, leisurely hours sunbathing, hunting for shells, making sand castles, and having plain old-fashioned fun in the warm water. Grab your bathing suit, some sunscreen, a beach towel, and plan on exploring these varied, fun and beautiful beaches of the Florida Keys. 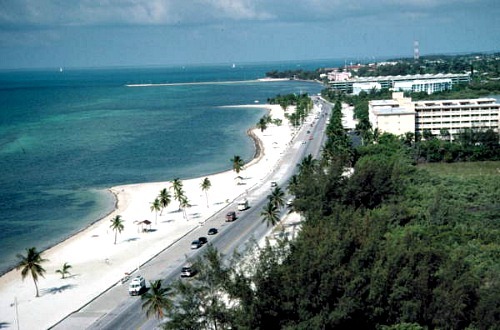 There are the beaches in the Upper Keys, the Middle Keys, the Lower Keys, and of course the fun ones in Key West! 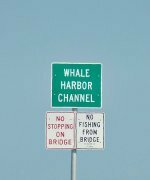 Below you'll read a touching story shared by one of our visitors about her first time in the Keys. Perhaps you too have found that perfect 'hidden' gem on your quest for that special moment. If so, use our comment box below to tell us about your favorite beach moments. We'd love to hear from you.